Koret is a driving force for progress and positive change in Jewish communal life locally, in Israel, and abroad. It is a privilege to strategically partner with our grantees in this impact-driven work. 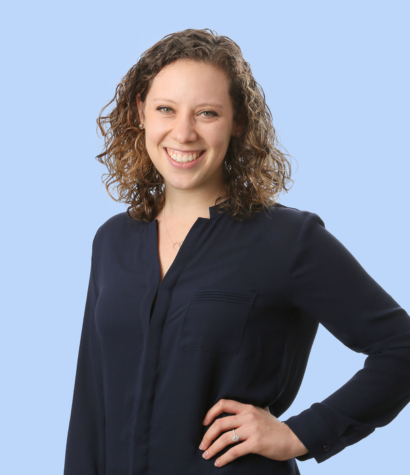 Rachel joined the Koret Foundation in 2018 as a program associate supporting Koret’s Jewish grantmaking portfolio. Prior to Koret, Rachel served as the assistant director of community engagement at Congregation Emanu-El in San Francisco, focusing on strengthening the community through relational engagement and programming. Rachel earned a Master of Social Work from the University of Southern California School of Social Work and a Master of Arts in Jewish nonprofit management from the Zelikow School at Hebrew Union College Jewish Institute of Religion. Prior to her graduate studies, Rachel worked as a case assistant at Goodwin Procter LLP in Washington, DC. Born and raised in Tampa, Florida, Rachel graduated from the University of Pennsylvania with a bachelor’s degree in history and religious studies. She lives in San Francisco with her husband, Cary, and regularly volunteers as a peer counselor at Empower Work, a chat line to support healthy workplaces.